Carole covers the resistance history from its beginnings in Kham, spawning the beginnings of the Chushi Gandruk in Lhasa, with the tragic ending of resistance veterans being stuck in limbo in Nepal, India and the US. She goes to great lengths to honestly reflect on the relationship the Veterans have with the Dalai Lama. Sacrificing dignity and suffering silently the consequences of the arrest of their history. Remaining loyal to the Dalai Lama and yes, the Tibetan government in Exile, at the cost of being called a Traitor. While the rest of the community remained clouded in confused judgement or ignorant all together. These men & women were people who sacrificed their lives, family, community and home for their nation when it was threatened in 1959 and continued to do so in exile. With a history marred by misunderstandings within the unsophisticated and newly constructed exile’s government politics and ill informed international politics, those who suffered most were those who gave up everything, the resistance veterans. For most, they endured the pain their whole lives until death. As Carole mentioned in her book. Most resistance history is unknown, even to the most intimate of relationships, family. As I weaved through her book, my own family history was reflected back. I learned of my grandfather fighting in the resistance against China only recently. My grandfather had already passed away some years when I stumbled upon his involvement. And only because I had been looking through old pictures and came upon a picture of a young man, with a rifle. When I asked if this was grandfather and why he was carrying a rifle, my own mother did not know the answer. My grandmother glimpsed at the picture and said “Oh, he used to be part of the resistant” and casually went back to talking about other mundane things. When I asked for details, my grandmother said she did not know anything besides his involvement. From my childhood till his death, my grandfather had never uttered a word about his involvement in the resistance army. As for my mother and her siblings, they knew nothing. All they could tell me was that he was from Gyalthang, Kham and great-grandfather from Bathang, Kham. My grandfather married my grandmother and started a family in Tenzi-gang. A remote village a few hours drive from Bomdila, Arunachal Pardesh, India. Its located on the boarder of India and Tibet. 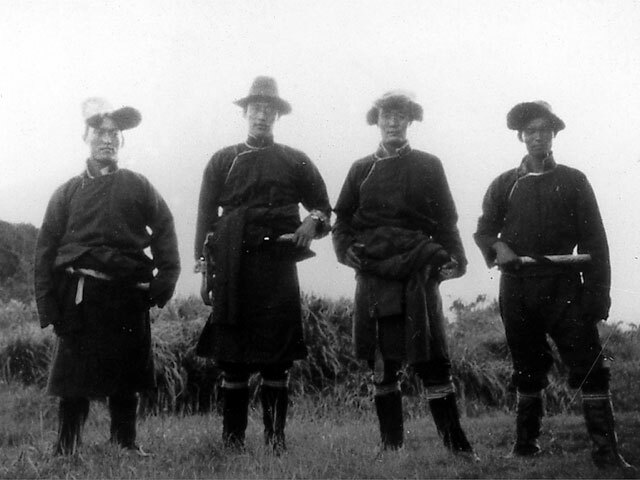 Through Carole’s book, I learned of Bomdila’s significance; it is where the Tibetans fled to after His Holiness’s escape to India and the first refugee camp. My grandfather must have chosen to stay, thinking he’d be able to return home to Tibet soon. Unfortunately, like other veterans, he died in India. Unlike many veterans, he was fortunate to have gone back for a visit to his village in Gyalthang ones. In the short years that I had known my grandfather, it is daunting to realize I did not know him well. The last time I saw him was the first time I returned to India. He did not speak any English, so he spoke to me in Kham dialect and I did not understand. It took me some years to realize how unfortunate that was. Did I disappoint him or did I break his heart in not being able to communicate to me? I know nothing about his home in Tibet or anything else for that matter. Through Carole’s book, I was able to get a glimpse of the stories of mothers, fathers, grandfathers and grandmothers, including my own. And the role ignorance, and most times love (and dedication) played in painfully silencing a history that is both national, and more importantly, intimately personal. I do not know the reasons why my grandfather never told me anything bout Tibet, his home village, or his family back in Gyalthang, Kham. I would like to think it was because I lived away from him most of my life, but that would be entirely too easy. 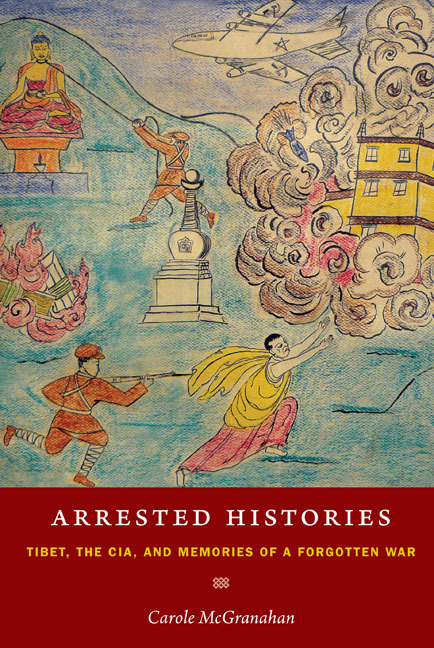 As reflected in Carole’s book, most resistance fighters did not speak about their own involvements in actively resisting China. The reasons for why my grandfather never shared could be many that both the veterans shared and Carole explored, but I will never know. There is a lesson to be learned. Never asking when he was alive or even pondering is something I regret. At the end of the day, the involvement of these individuals to fight for our nations sovereignty is not just a personal story but should be part of our National identity and history. Our parents and grandparents did not sit back and flee in the dead of the night. They fought valiantly, long and hard in the hope to restore not just their homes, but our nation and the rightful throne of His Holiness at the Potala. Their legacy of resistance and endured pain are not and should not be, just personal sacrifices. Their stories should be a call to our national consciousness in reshaping and understanding our own national history. Carole’s book was done with love, and I felt it in the honesty of how she told the untold stories of devoted courage and love. Stories I did not get to hear from my own family and community, and taught me the importance of asking. Her book not only honored the legacy of those who fought but did justice in reflecting honestly on the intimate relationship the Tibetans and the veterans share with the Dalai Lama and the Tibetan Government. She was eloquently able to convey what the veterans gave up, including their dignity for; love for our nation, our people and above everything else, His Holiness the 14th Dalai Lama. wonderfully written! nearly cried.. we the younger generation are able to learn about the untold stories, so let’s do so!